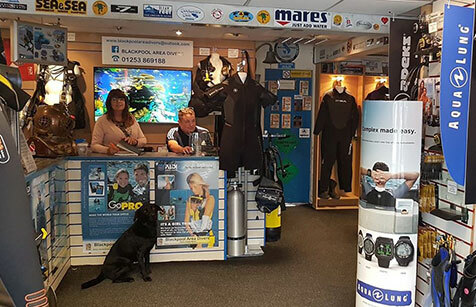 Blackpool area diving centre, established 1986, is one of the longest running dive centres in the north of England, offering all aspects of recreational and technical scuba diving. We offer a wide variety of PADI and PSA courses, for all levels, from beginners to dive masters. As well as courses and gear we also provide equipment servicing and maintenance, as well as multiple dive trips every year to places like the Maldives, Malta, the red sea and Oban with our experienced team of instructors.